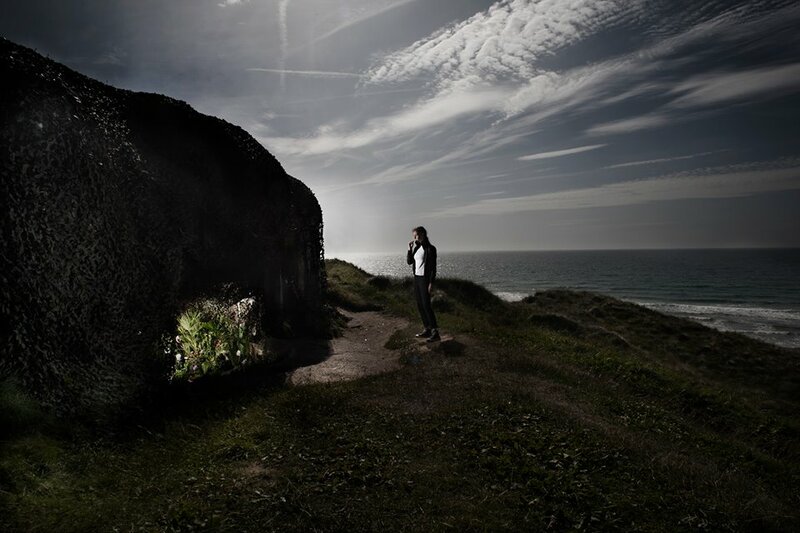 For the first BunkerLove Festival in Hirtshals in 2013, Inge Tranter transformed a bunker in Hirtshals into a fantastic garden filled with flowers and plants. 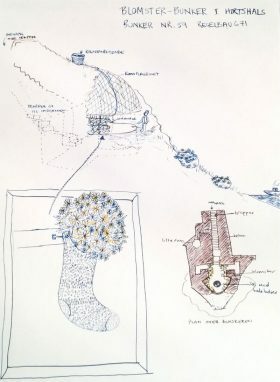 For the Nature Meeting 2017 in May 18-20, the artist will recreate a flowering oasis in the midst of the bunker landscape, this time assisted by school children in the municipality of Hjørring. Inge’s work for BunkerLove and the Nature Meeting is artistically supported by Andrew Zealey, Slavomir Baca, the historical museum of Vendsyssel and others and is financially supported by the municipality of Hjørring, BMMK and KulturKANten. A union of single socks – Is there a sock monster in your washer? School children will be given the opportunity to contribute any single socks that they have, and assisted by Inge, to plant and nurture flowers for the new bunker garden. It is estimated that every Dane loses 1.3 socks every month, and why would this be different in any other sock-wearing nation? Inge will be touring a few schools to engage the children in the creation of the artwork. In the week before the Nature Meeting the socks will be collected for plantation in the special bunker. The bunker which will be used for the garden will be the same as in 2013 and has the number 59. 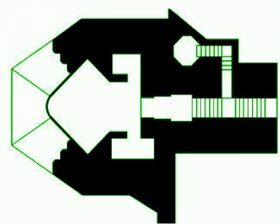 It was built in 1944 and is of the type Regelbau 671. It is a so-called ‘closed cannon position’ for a French 10.5 cm cannon. It is the northernmost of four cannon bunkers in the battery. The French 10.5 cm cannons were moved from open to closed positions which caused a limited firing range of 120 degrees. In turn, the cannon had better protection from attacks. At this stage in the world war II, the Germans preferred a cannon with limited firing range over one which risked being destroyed during an attack.